Lockheed Martin has developed a drone-demolishing airborne microwave system which quite literally cooks drones in midair. 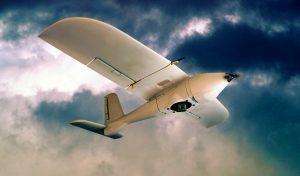 If that’s not cool enough, the US Army has announced plans to purchase the technology which can be mounted on a myriad of aircraft in order to swiftly disable drones with a beam of focused radiation. Drones are increasingly being utilized in combat and even in a recent assassination attempt in Venezuela so tech capable of eliminating drone threats is becoming more and more sought after. Lockheed Martin is developed a similar airborne microwave system for the Air Force, called the Self-Protect High Energy Laser Demonstrator.